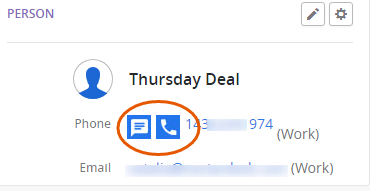 You can click to call or SMS directly from any website with the help of our Google Chrome Extension. It is called Nectar Desk for North America. 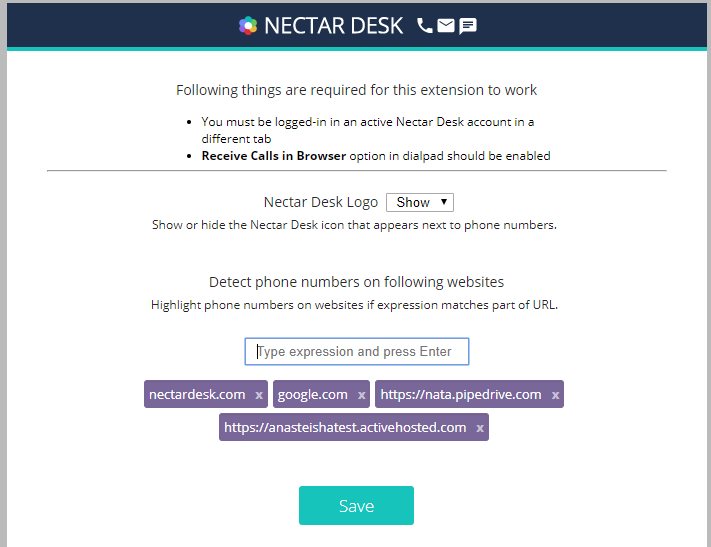 You must be logged-in in an active Nectar Desk account in a different tab. 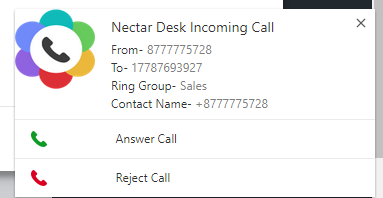 Receive Calls in Browser option in dial pad should be enabled. 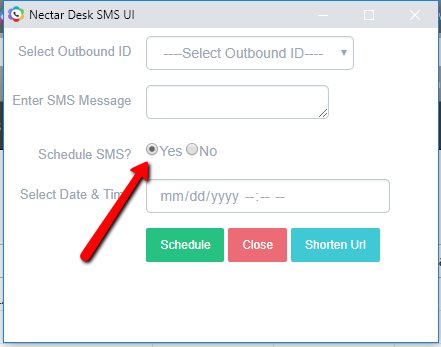 To make a call or send SMS you should click on the icon proper icon. There are also functions Hang up Call and Hold Call, if you are calling someone. 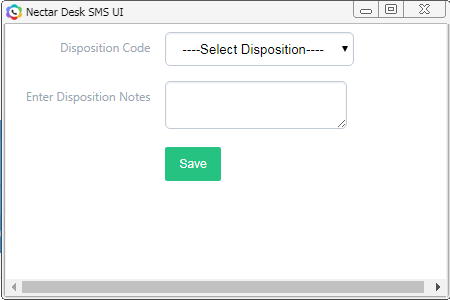 If you want to send SMS: Type the text > Send. From the pop up you will be able to select Outbound ID and Canned Response. If someone calls you a screen pop will show up as well.